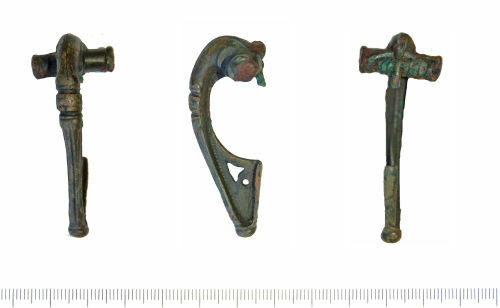 Cast copper alloy brooch of Colchester derivative (Mackreth 2011, Part 5, Group 1.b2. The Trumpet Head, flat wing ends). Sub class: Mackreth 2011, Part 5, Group 1.b2, Plate 68.